I believe I mentioned this a little while back. Turns out I ended up beating it before that post was published. (To qualify this point, I beat it in June but didn’t get 101% completion until the end of August). But then the midterms came and priorities shifted. I can’t very well make a game about monkeys from 2000 fit in with the “Cold War nuclear holocaust” theme, despite the obvious references to certain Cold War movies about damn dirty apes. So finally, here we have Donkey Kong Country on the Game Boy Color. Something light to get you through this holiday week. 16-bits of data crammed into an 8-bit sack. It’s Donkey Kong Country on the SNES, but stripped down for the Game Boy Color. I’m playing it on the Game Boy Advance, and that’s the sad part of the story- if they’d just waited even a year they could’ve simply skipped all of the work for the Game Boy Color and instead done a straight port of the SNES game to the GBA. 3 years later, they did just that. The story goes that King K. Rool (what a clever name…) stole all of Donkey Kong’s bananas, so now you must fight his henchmen and the king himself in order to retrieve your high-potassium treats. And no, stealing your bananas does not weigh on the king’s conscience. You can play as either Donkey Kong or Diddy Kong. You swap who you play as in the stage either by pressing the “select” button or by an enemy taking out one of your characters. If you have one character left, you can break open a fresh replacement from a DK barrel. Each stage has at least one bonus room in which to gain either bananas or lives. If you collect 100 bananas, you get a life. Diddy and DK have animal friends. You can play as each of them, both in levels and in minigames that are accessed by retrieving 3 golden idols of the same animal. Barrels with stars on them act as a checkpoint in a level- break them, and every time you access that level after losing a life you will start at that point in it. When you lose a life, the game ejects you from the stage to the overworld map. Yes, there are differences with the SNES version. The colors are paired down, the deep background is usually not particularly detailed or even just one color, as opposed to the SNES which had much more detail. One stage was replaced by a new one. Instead of riding animals you become them. Only one monkey is visible at a time. Some of the lighting effects are different- in stages with fog the screen just fades slightly to gray, in the one stage where the parrot follows you with a flashlight and illuminates 2/3 of the screen with a seizure-inducing brightness every time you move too far to one side of the screen on the SNES, on the GBC the whole screen illuminates. Saving is done automatically in the GBC version, whereas you needed to visit Candy Kong in the SNES version. You can still visit her in the GBC port, but she provides a minigame instead. The music in some stages sounds like a Game Boy counterpart to what is on the SNES, but in other stages it’s something completely different. They added stamps you need to collect to add to the overall completion percentage. And some levels had their intralevel warps removed. These are warps that take you from the beginning to near the end of a level. The only oversight was Slipslide Ropes, that one is still in there. And in one of the levels, the entrance to a bonus room was moved to the other side of a hill. One of the cave levels. The GBC version provides on its main menu, in addition to the regular game, minigames and stickers you can print with the Game Boy Color Printer. The lights snap on for the parrot, though with a backlit screen you don’t really need it. In the SNES version, when the lights go out they are OUT. No stage is visible. Not like here, although this is a backlit GBA SP model. On the standard GBA, it might as well be lights out for all intents and purposes given how little you can see. Left is how it looks on the original GBA (picture was taken in the most ideal circumstances I could contrive, on average you would not see this much), while right is how it looks on a backlit GBA SP (distinct from frontlit models, the backlit ones came later). This game was next to impossible for reasons outlined below. To summarize via example: it took weeks for me to beat the game on the original Game Boy Advance, but on the latest SP model that had a backlit screen I beat it twice in two days (once without any star barrels for saving halfway through a level, the other without any DK Barrels which would allow me to take extra hits from enemies and obstacles). Every level. In a week, I must’ve beat the game 2.5 times, because to get full completion you have to find every bonus stage in the levels, in addition to beating the game without star barrels and without DK barrels. Their Shellder wannabe is in black and white, I assume just ripped from one of the other Game Boy Donkey Kong games. Some things shouldn’t have been done. The villains, and sometimes the player, blend into the colorful backgrounds. This does not seem to be a game designed for a portable environment, unless your screen has a backlight. Game Boy Colors did not come with that feature (though there was one planned). (pic of shark, caption where am i? am I here? No no no, am I there? No no no). The collision box for Donkey Kong varies between too small to pickup bananas unless they cross a few pixels in the middle of his chest, and very huge when enemies are nearby. This only aggravates the need for sufficient lighting at all points of gameplay. The main menu is taken from Donkey Kong 64. Except DK doesn’t look like a maniac serial killer in the console version. Minor in comparison to the rest, but the game does have points when there are too many enemies on the screen which slow it down, but as I recall this really only was noticeable in just two levels. I was impressed by how they almost completely stuck the SNES game, hailed for its advanced graphics and gameplay, onto a Game Boy Color cartridge. It desperately needs to be played on a system with a backlight, but if you do that it’s an interesting look at an interim measure for making a portable version of the first Donkey Kong SNES game. Aside from the novelty factor, I might lean towards recommending this one over the GBA release if you don’t have a DS or a backlit SP. I assume the GBA release’s more faithful lighting use would make it nightmarish to play on the standard GBA. So… did anyone else notice how Mine Cart Carnage’s music had a few notes from Indiana Jones’ theme, and that Millstone Mayhem’s music had a few notes which sound like they match the vocals in “Sweet Victory” by David Eisley? Juuuuust enough to let you know what they’re going for, without a lawyer letting them know they’re going to be sued. As we watch the Democrats peddle their warmongering interventionist and laissez-faire let’s-wait-for-war attitudes, ie as they play their war games on their way to the fall brawl known as the midterm elections, where voters will probably vote Democrat to bring us nookular annihilation, I’ll take a look at some literal war games. Cold War video games, anyway. Today, we address the Left’s cuts to our military and #Resistance to helping it as said #Resistance demands war with Russia, and the game Battlezone. You’re given a vector-graphics simulation of the first-person perspective of a tank. Some arcade cabinets even had a rig that made it seem like you were staring through a tank commander’s periscope. The object is to blow up any tanks, anti-tank missiles, or Unidentified Flying Cupcakes that you might see. And don’t get hit. The saucers just kinda float there and are hard to hit, but give you 5,000 points. The tanks shoot back and are worth 1000 points. The missiles fly right at you, but if you blow it up before it blows you up they’re worth 2000 points. There are barriers to hide behind too, for when the other tanks are shooting at you. There is a radar on the screen that shows where the tanks and missiles are, but not the cupcakes. Just about all the versions I played mentioned here are ports of the arcade (as seen above, even arcade emulations can have differences, on the left is the GBA version and on the right is the Saturn one). The Atari 2600 version changes everything up though. It’s not in the vector graphic format, and you are given a third person perspective of your tank. Or maybe it is first-person and you’re just riding on top of your tank. The military, being fans of war games, wanted their own version of Battlezone. This would be done to train operators of the Bradley Infantry Fighting Vehicle. Atari developers didn’t want to work on it because the Army is evil. There’s a strong irony here. The Soviets who Atari was supporting with their refusal to cooperate were quite militaristic. The Red Army was founded based on bloody battles to rid Russia of tsarists. The Soviets had no problem using it- border wars with China, pilots and equipment for North Korea and Vietnam, war in Afghanistan, crushing various revolutionaries domestically. Yet the Atari developers wanted nothing to do with the military that would protect them, totally unaware that under Soviet rule the government would’ve threatened their families or imprisoned them if they refused to cooperate. But apparently that’s the system of government they wanted. Yes, in the U.S. they’re free to object to helping America win, but it doesn’t make them free from criticism, especially when their actions make it look like they want the Soviets to control our country. We had enough bread lines in the Great Depression, we don’t need socialism here to bring them back. Thousands of Google employees recently demanded their company stop working on military drones. There are several ironies here. 1- these employees had no problem with Obama using drones to kill Americans without due process, they voted for him. 2- these employees have no problem creating a version of Google for China to use to limit the speech of its population and hide atrocities committed by its government. 3- these employees had no problem voting for Queen Hawk Hillary and every war she planned to start. 4- these employees are heavily funding California Democrats, members of the same party that wants a war with Russia. So… they say Google’s image would be hurt by helping build drones to keep American soldiers out of harm’s way, but they believe it enhances Google’s image to help China oppress its population and help Hillary send American soldiers to die, and think a war with Russia whether by spiteful Democrats or by Hillary if she were President is a good thing. They think keeping soldiers from harm is immoral, but helping oppress people and sending soldiers to die and risking the lives of millions of Americans is moral. I have a question- these developers want the option to opt out of helping the military protect the country and save our lives, so why do they want to force me to pay for abortion? They believe in conscientious objecting, but only when it suits them it seems. Killing babies anytime anywhere for any reason is fine if a mother decides on it, killing people and starting wars is fine if Hillary and Obama do it. Such is Google’s belief, based on what they openly support. Battlezone illustrates the kind of combat that leftwing Atari developers voted for when they wanted Hillary in office. Well, Missile Command honestly was a better demonstrator, but Hillary is quite interventionalist. She claims to regret her Iraq vote, but she was happy to ram us into Libya with fewer reasons. And she didn’t even have the decency to stay and fix Libya after we were done breaking it, thus her policies led to the death of Ambassador Stevens. But that’s ok, the Atari developers and Google are just fine voting for sleazy warmongers like Hillary, just don’t ask them to support the military that Hillary will put in danger. Liberals want military funding cut, but they’re happy to have Carter endanger soldiers in Iran, Clinton endanger them in Bosnia, Obama endanger them in Libya, and Clinton endanger them in Syria. And now that they’ve lost the election they’ve become like some kind of spiky-haired nihilistic punk and want the whole world to end, hence they want a nuclear war with Russia or at least North Korea. When rising DNC star Ocasio-Cortez was asked how we’d pay for all her free stuff, she says tax the rich and deplete military spending. As the crowd cheers. The same clapping seals in her audience are the ones that also cheer when we’re told Russia committed an act of war and we should retaliate. So… cut military spending, but then pick a fight with Russia? And keep in mind- China and Russia are pretty good chums right now, and let’s throw in Iran and Syria because they owe Russia a lot anyway. So now we’re talking war with Russia, China, Syria, and Iran, while we cut our military below the already terrifying state it’s in right now if liberals are in charge. Oh yeah, and don’t forget- the “rich” that we’re taxing will flee the country or hide their money elsewhere. Does anyone else remember what happened when an underfunded country, with a resource-starved military, with a government that called itself “socialist”, tried to take on a bunch of different countries? Here’s a hint- it’s the reason toothbrush mustaches went out of style. Just an aside to Ocasio-Cortez: I find it ironic that she, a New Yorker, is talking about the ultra-rich paying their fair share. Because in New York State, when Trump tried to raise taxes on their “ultra-rich” as she phrased it, the Democrats in command there set up a scheme to launder rich people’s money so that they could keep it. Our socialist comrades in California did the same thing. Back To The Game Please? The Atari 2600 and home computer versions give a story. The year is 1999. You had to steal a tank from a museum in order to fight the armies of people who don’t want peace on earth (or purity of essence, they oppose both). They unleashed automated weapons that you alone must face. Speaking of the various versions, even the ones that are simply unaltered ports of the original play differently. Of course the controls and responsiveness differ. I mean, we’re talking a bunch of different controllers here. Less intuitive differences include how the Saturn port is very stingy with the saucers. The Dreamcast version gives you the option of playing with a fake cabinet border, but that makes everything smaller. Not that it matters, for some reason you can’t read the radar on the Dreamcast version anyway. The little blip was waaaaay too small. The GBA version played and looked pretty good, but I was using one of those fancy back-lit GBA SPs, rather than the front-lit earlier models or unlit original ones like you saw me get “screenshots” from in earlier writings. In the GBA version it also felt like hitting the missiles was easier. From the Dreamcast version (part of Atari Anniversary Edition, also on PlayStation). The arcade cabinet could be removed, making the game play in fullscreen. That made the radar at the top easier to see. because its gun was still working (unless our brave antique roadsters somehow got a few rounds fired into the cannon of the Abrams). Such is the case in Battlezone. You have a little radar to guide you, but if the other tank sees you first, like say spawns on your right facing directly at you (happens a lot more than you’d think) you’re dead, even with the radar telling you to move that way, because you turn too slowly to meet the tank in time. The best I was able to do in such scenarios was sort of zigzag my tank between enemy shells, but I was never able to fire back because if I held the enemy in my sights long enough to do that, it would’ve been long enough for my already sighted adversary to fire the finishing round at me. I am fairly certain that the developers of Battlezone stole designs from Destroy All Monsters. 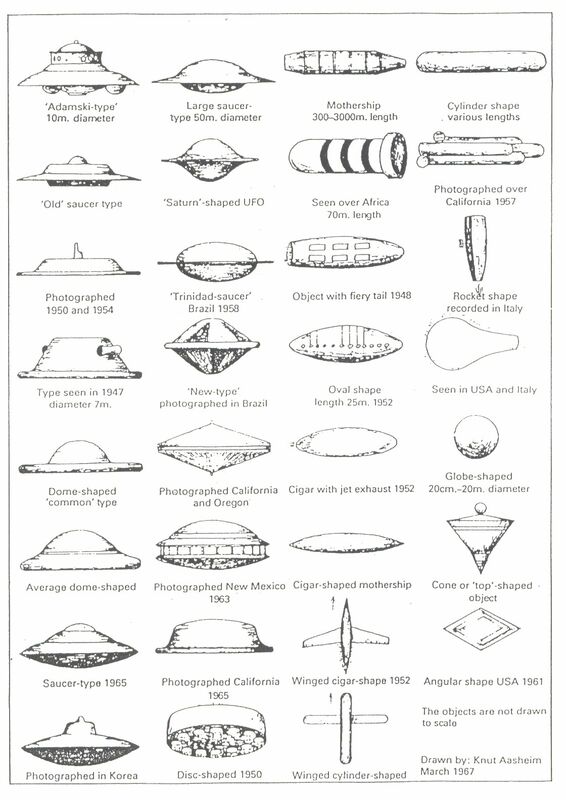 The saucers look like the alien saucers in that movie (granted, there isn’t too much you can do with the saucer design). The tanks look like the tanks in the movie with their general shape and even the radar sticking out the top, minus the rockets and extra cannons. -GBA had 3 lives. I got 26,000 points. -Atari 2600 had 5 lives, and I got 33,000. -Sega Saturn had 3 lives, I got 20,000 points, in spite of how stingy the game is with the saucers. -Dreamcast had 3 lives, I got only 16,000 because of the tiny radar. Or at least that’s what I’m going to say. Looks like such a fun game, vote Democrat and make it happen! Hillary sure would have. Of course, if Democrats had their way then the military would be fighting these wars with no money, and no support at home since liberals hate soldiers (Salon has a nice headline “You don’t protect my freedom”, arguing that calling soldiers heroes is “childish”, and saying that it “deadens real democracy”. Ironically, 3 years later Salon’s political party of choice would demand we send soldiers to protect our democracy from Russia. Another irony is the childish naivety of the author, who because they don’t see threats they just assume there are none, like they never developed object permanence and are permanently stuck with an infant’s worldview… that author had better be careful, their mother might want an abortion). So there you go- just like Google, if you think killing American soldiers is a great thing then go ahead and vote Democrat this fall. Given Hillary’s treatment of police and military and government agents protecting her, it’s logical the Left and certainly her political party would hate them too, “Birds of a feather” and whatnot. Today, we address the Left’s push for World War III or at least a new Cold War- by looking at the Cold War thriller “Missile Command”. Depending on the version you play, you have between one and three missile defense platforms. You aim their salvos with a helpful cursor. You fire your anti-missile missile at incoming enemy missiles. And smart bombs. And these Sputnik/flying mine things that fly by. And enemy bombers (that oddly look like B-52s in some releases, making me wonder just which side you’re on in this game, especially given the modern leanings of game developers). Once all of your cities are destroyed, your game is over. The same effect might also be achieved if your missile platform(s) is(are) destroyed early on in a round, because that means the rest of the missiles will come in unopposed and flatten your cities. It looks something like this (a scene from the big blockbuster of 1977 that Fox had to delay releasing until Fall, releasing some obscure flick called Star Wars to whet the audience’s summer appetite instead). You have a finite amount of missiles too, by the way. In later rounds as the action gets faster and incoming missiles become more numerous, you’ll start running out. To defend against Fake News, one has to be able to counter the overwhelming number of claims. While distracted by one, another comes raining down, then another. Sometimes you can take down multiple claims in one shot. But eventually you’re not fast enough and are overwhelmed. What game does that sound like to you? Strategy for stopping the smart bombs varies game-to-game. As far as I can tell, I think in the Genesis or 5200 version, the best strategy is to direct them (via detonating your missiles in front of them) into a city that’s already destroyed, or that you don’t like. The cities represent real American cities, so send the smart bombs to the second city from the left (San Francisco) or second city from the right (Los Angeles). They’re the liberal cities that most voted for nuclear war; let ’em have it. As for the other releases, smart bombs can be destroyed. Nike-Hercules missiles were armed with nuclear warheads and deployed across the country to defend against incoming Soviet bombers. This example is from the Tank Museum in Danville, VA. This picture was taken before I was kicked out, because SOME people just don’t like it when you repeatedly hit a nuclear warhead with a hammer! Typical nanny-state BS. Marxists.org, counterpunch.org, globalresearch.ca, londonprogressivejournal.com, houstoncommunistparty.com, monthlyreview.org, leftvoice.org, Alexandra Ocasio-Cortez who is the future of the party) refers to any U.S. overseas action or military buildup as today (globalpolicy.org and monthlyreview.org had examples of this belief, globalpolicy even linking missile defense to imperialism) (the Left also thinks colonizing Mars is imperialist and an example of “male entitlement”, so congratulations Democrat, this is the allegedly pro-science pro-truth group you are supporting. By the way, I have a bridge in Brooklyn for sale if you believe that the Left is pro-science), the same anti-Imperialist-anti-US-warmingering Left that wants war with Russia (note that after a century of brutalizing its own people and others worldwide, the only thing that made Democrats stop loving Russia was allegedly helping Hillary lose, not that whole “Soviets killed tens of millions of people” thing, so remember that when Dems say they’re compassionate and care about others) and celebrated Obama’s hawkish–except-against-Islamic-terror-foreign-policy… and wanted Hillary The Hawk to win). Hippie liberals, who now run the colleges and to an extent the DNC via the radical protesters they are producing, protested heavily against Safeguard being installed because they were afraid it would trigger an arms race or a pre-emptive attack or some such rot. And now these same hippies and their progeny (both ideological and biological no doubt) want to piss off Russia enough that they’d send nukes our way, right into the country they left undefended. In fact, their radical President wanted to disarm the U.S. entirely, their President who said Russia was our friend. If we are to assume that your side of the aisle is as intelligent as you claim, that means you KNOW that your decades of protesting the military and disarmament talk left America weak, your protests against missile defense left us defenseless, thus you must know that your demands for war with Russia mean the destruction of this country that you left undefended. Therefore, if you’re as smart as you claim to be, you’ve deliberately disarmed America to make it easy for Russia to destroy it. That fits with your anti–American pro–communist pro–Russian rhetoric, which was the norm until your almost-century old position on Russia changed with Hillary. So unless you admit to gross incompetence, admit that your side is not particularly intelligent, we can only assume that you want America to be destroyed. For those who think I’m being a little hyperbolic and exclusionary, keep in mind that the Left for decades has believed anyone who doesn’t vote Democrat is a racist. ANYONE. So tell me, liberal, just what the hell are we supposed to do to Russia when they “hack our elections” and make your candidate lose? If we have no nuclear weapons as you want, what do we do? We saw in the aftermath of Hawaii’s accidental missile alert that you liberals have no stomach for confrontation if you think it’ll actually hurt you. You began screaming at Trump to tone down his rhetoric against North Korea (all the while you still were very vocal against the much more heavily-armed Russians). So let’s say you decide to sanction Russia- they just have to threaten a nuclear launch and you’ll shut up and impeach your President for endangering you, unless you mean to tell me that all your rhetoric against Trump over his North Korea talk was just a bunch of garbage. No, I guess you won’t. Speaking of that Hawaii incident, and blaming Trump for inflaming the situation, remember how Obama was ready to go to war with North Korea without even seeking negotiation? No, I guess you don’t. Definitely not your Senator who went after Trump after the false alert (then again even when combined with Kamala Harris’ vast intellect we find that both Senators have just enough brain activity to show that even people not in comas can be vegetables. Throw in Maxine Waters and you might have the same amount of activity as in tomato sauce. And no, liberal, it isn’t racist or sexist to say a minority or a woman or some combination thereof is an idiot. Plus, I think white male Adam Schiff and white female Sally Boynton Brown are similarly impaired, while white male Joe Biden is slightly above them because I’m pretty sure he just babbles to himself rather than deliberately lies, and I have a low opinion in general of the predominantly white anchorage at CNN. Or are you going to say I’m racist against whites, because last I heard from you liberal that was impossible). Actually, the Left is still ready for a war with North Korea, at least those liberals on the mainland who wouldn’t have to face an attack. 71% of liberals polled don’t want peace with North Korea if it means Trump gets credit for it. Meanwhile, the creator of Missile Command found nuclear war to quite literally be a nightmarish scenario. Unlike the Left today, which would rather we have a nuclear war with Russia because they can’t admit to themselves that Hillary was a terrible candidate, and want a war with North Korea too if it means Trump’s reputation is hurt by it. We the public don’t know that Russia leaked the DNC emails. Mueller’s charges mean nothing, and most of what was in his indictments of the Russian hackers was two years old at least, and reported in mainstream outlets as far back as June 2016, meaning that Mueller’s timing was rather suspicious given that he released the indictments around the time Trump had a major summit with Putin, apparently sitting on this info for his entire first year as Special Counsel. As for the indictments, Mueller knows damn well those Russians will never see a day in court so he doesn’t have to prove anything, doesn’t even have to be able to prove anything. Remember: Clinton associate and strategist James Carville said grand juries can indict a ham sandwich, meaning indictments flow fast and free through them. Mueller looks like he could be John Kerry’s brother. Mueller himself has a history of pursuing innocent men and burying evidence showing innocence (he was head of the FBI during the anthrax case when prosecutors buried exculpatory evidence, and Mueller personally led that case), so his credibility is further diminished. Mueller was also very good friends with Former FBI Director James Comey (who helped Mueller prosecute innocent people) so we have in that a certain motive of retribution against Trump on Mueller’s part, which also explains the good timing that even the liberal media admits to in regards to Mueller’s indictments. Wikileaks denies it was the Russians; there is evidence to suggest it was an inside job. Not that it even had to be, John Podesta’s password could’ve been cracked by a ten year old. Besides, if the server hack was such a damning thing, why did you liberals destroy anything that could provide evidence for your complaint? The only reason you would is that examining the servers would prove that no hack took place. Just like the only reason you would oppose a deal that would allow Mueller to question the indicted Russians is because you are afraid Mueller would have to prove his case. You also contend that Russians colluded with Trump to get him elected. This lumped with the email hacking constitutes your sole reasoning for wanting war with Russia. There has been an army of bureaucrats and elected (Adam Schiff) leakers in the government complimented by a nation of journalists, all with a strong hatred of Trump. Yet in the two years since Trump obtained the votes needed to be the Republican nominee, not one shred of proof has surfaced. Now how about that, the best you can do is assume debunked and implausible documents like the Steele Dossier are true or say that US Intel Plant Halper giving a story to George Papadopolous who talked about it to the Australian Ambassador/Clinton Donor was somehow collusion. The hardest evidence you have, the only items you’ve been referring to when asked for solid evidence aside from vaguely circumstantial stuff, are the debunked Steele Dossier and the intelligence assessment that you all kept touting as confirmation from 17 agencies that Russia interfered. I’ll write it here for your convenience- it did not involve 17 agencies, and was an intelligence ASSESSMENT. That means political hack and confirmed liar John Brennan assembled a team of yes-men who came up with the THEORY that Russia interfered, that is what an assessment is, it’s what that little committee theorizes, NOT what really happened (but to a liberal I guess the difference is only semantic, because what they think and feel are the only realities they acknowledge, as I’ve established in other items). And the debunked Steele Dossier was used in drafting the Intel Community Assessment in question. Oh, and Obama of course ordered this Assessment to be done. I’m getting a lot of mileage out of this chart C-Gaymer found. Given that most of those in the Journalism industry are leftwingers, it’s safe to say that at least 22,241 reporters have motive and opportunity to research Trump and any connections to Russia. Now let’s add in every Democrat in Congress (193 Congressmen and 49 Senators), every member of those 242 Congressmen and Senators’ staff, every sympathetic contact in the private and public sector that they have, every leaker and anonymous source the liberal media uses, every Democrat in the bureaucracy, every liberal blogger, every liberal hacker, every liberal professor who might have academic means of research, private investigators these groups might employ (like Fusion GPS), every liberal in the DOJ (who tried to fabricate evidence against Trump, the Steele Dossier, which wouldn’t be needed if there was anything really there), every millionaire and celebrity in Hollywood plus billionaires like Tom Steyer and George Soros with their massive networks of personnel and followers nationwide, most of the tech industry which easily has access to all of Donald Trump’s tweets and Google searches and things like that, and it’s easy to assume that we’re talking about a group of people larger than the population of Iceland (maybe even larger than England), with more money than the GDP of Russia at their disposal, with a cyber army on par with the NSA and as capable of hacking elections as any Russian group, and the backing of multiple parts of the U.S. government from Congressional offices to departments in the DOJ to state-level offices and attorney generals. This massive ball of hatred has had two years now to work on this. DESPITE all of this at their disposal, enough raw power to destroy whole countries, DESPITE all of the time that they’ve had to research, they can’t find ONE SHRED OF EVIDENCE that Trump colluded with Russia, nor can they provide solid evidence that Russia hacked the DNC servers, even though they have Russian oligarchs with access (as we know from when Clinton cash made its way to Russians, maybe even oligarchs close to Putin to loosen their lips and make this whole “we’ll reveal Putin’s evil plan while risking our lives for some guy we haven’t seen in 7 years” thing credible, through Steele in exchange for the debunked Steele Dossier), even though they have access to SPIES in the Kremlin as the New York Times leaked (which probably means we HAD a spy in the Kremlin, thanks to our intrepid reporters who just threw a life away even though they seemed scared to death that this very consequence would happen if someone leaked the identity of Stefan Halper as the informant from the Trump Campaign- notice that NOT ONE of the folks like Senator Warner who said Congressmen could be charged for trying to unmask Halper or the folks in the media who said intelligence would be irreparably damaged from the ‘Halper reveal’ SAID WORD ONE about the Times’ leak that we have a spy in the Kremlin). Maybe you understand NOW why your Russian collusion claims seem so ridiculous? If your side brought that same power to bear against Russia itself or China, you could probably bring those countries to their knees both in cyber and economic zones. Instead, you focused all of it on Trump, and have come up with nothing after two years. Alright, I think that about covers why the Russian warmongering is just another “U.S.S. Maine” (the press exploited the incidental explosion of a battleship to drive America to war with Spain, just like the press is exploiting the incidental leaking of emails to drive America to war with Russia, except this time the enemy has teeth and will ironically incinerate liberals by the millions. The only time I’d ever want to be at ground zero for a nuclear attack is at NBC, ABC, CBS, or CNN headquarters (or in Senator Hirono’s office, I’m lumping her in here because she never condemned Hillary demanding missile strikes on Syria and a no-fly zone where we’d shoot down Russian jets, nor did Hirono condemn the media and her colleagues demanding war with Russia) and see the look on the face of one of these warmongerers as Russia responds to their threats in much the manner they kept saying North Korea would respond to Trump’s heated rhetoric). Uhhhhm… You Mentioned Different Versions? Oh right! Well, I said this mixes politics and the game, so I became a skosh sidetracked. Naturally, we get one for the Atari 2600. One of the selling points of that console was having arcade games at home. As you can see this is a version where you get only one launcher to shoot down enemy missiles from. In later ports with 3 missile launchers, 3 buttons are used to differentiate them. The Atari 2600’s standard controller had only one button. Yet another port where you have only one tower with which to shoot down missiles. Sure the 5200’s controller had a dial pad like a telephone, but it’d be kinda hard to use the joystick and the dial pad as would be needed to control three towers. The original arcade version used a trackball, so unless you got the trackball for your Atari 5200 you’ll be hard-pressed to emulate that experience with other ports. Not that you need it, the 5200’s joystick worked well enough. It was my favorite control setup, very responsive and swift. As you can see in the upper right, on the 5200 the incoming bombers are American B-52s. During a marketing campaign to prove the Atari 5200’s rugged durability despite its large size, Atari executives arranged for the U.S. Air Force to land a B-52 on one. I was surprised to learn, but to the best of my knowledge, there was not a Missile Command port for the Atari 7800. You’d think they would’ve put their hit game on that console, but you’d think wrong I guess. The Sega Master System version (from “Arcade Smash Hits”) sort of plays like the real thing. You get multiple launchers too. As you can see, this is not about you defending American… or Soviet… cities. It’s about a race of Tangelas protecting themselves during an interplanetary war. The cursor on the Game Gear version (part of “Arcade Classics”) moves like a sleepy Hutt, but the incoming missiles are slow as well. Feeling like you’re trying to move a heavy bookcase by pushing it across carpet is not conducive to a good gaming experience. The Sega Genesis port (part of “Arcade Classics”) does not particularly stand out in my mind. As you can see they took some liberties with the designs, and apparently made commercial airliners into nuclear bombers (a reversal of what was actually done), but there isn’t much more to talk about here. With the Sega Saturn version (part of “Arcade’s Greatest Hits”, the gold version, also released for SNES and PlayStation) we get into the realm of arcade-accurate ports. Or emulations. Probably emulations. The Dreamcast version (part of “Atari Anniversary Edition”, also released for PlayStation) takes this arcade-accurate emulation to its logical conclusion by simulating an arcade machine’s monitor. This also shrinks the amount of space your game takes up on the TV screen, and the shrinkage is very noticeable in the graphics. You can see the difference for yourself if you have this copy because you can play it in either arcade cabinet or fullscreen mode. There is a Super Nintendo port, on the gold “Arcade’s Greatest Hits” cartridge. But clearly I do not have it. Same goes for the Game Boy Color version, which I did not know existed until just now. I do have the Game Boy version. It’s lumped in the same cartridge as Asteroids, titled “Arcade Classic 1” (there were more, at least 2 more, in the “Arcade Classic” series on Game Boy). The game is obviously enhanced not just beyond the original story, but beyond the Game Boy’s capabilities. If you plug it into the Super Gameboy you get some colors and an arcade cabinet around your screen. Controls on the Game Boy Advance version (on the “Atari Anniversary Edition” cartridge) aren’t that good, it’s like your cursor is sliding on ice. It’s otherwise a great port, and even manages to give you three missile launchers. Looks like it’s more or less an emulation, like the Saturn and Dreamcast versions. The PlayStation had a remake, with a different plot than the Cold War terror and graphics altered to suit (just like the Master System and Genesis versions. The Atari 2600 release had a different story, but it was clearly just a port with no extra touches). Same with the Atari Jaguar’s Missile Command 3D. The PlayStation remake offers a 3D, first-person perspective as you man a missile-shooting aircraft. This version also offers a more familiar mode of gameplay, pictured left. In the game it’s “Warheads”, on the CD label it’s “Warhead”. Released on the FunPack CD with clones of other games (like Pac Man, Asteroids, Tetris, and Super Breakout), we get the Missile Command clone Warhead. Yes, it’s legitimate. I think. My parents bought it in the early 90s from a store, probably a big chain store since they don’t seek out small used video game shops and there certainly weren’t many around, so it must be. The FunPack version has tiny explosions and the missiles move kind of slow, so your aim needs to be more precise than the original. This works on Windows 3.1 through Windows 98. I don’t know if it’d run on anything stronger than that, even with Windows 98 the Pac Man and Tetris clones do not function right. Looks like such a fun game, vote Democrat and make it happen! Much as Trump undid Obama’s legacy, I suspect Democrats, if given the majority in Congress, would work to undo Trump’s. And then in 2020 we’d get President Kamala Harris or President Elizabeth Warren, who’d bring back tensions with North Korea and become such hawks against Russia that Queen Hawk Hillary would tell them to take a chill pill. Because nuclear war with Russia and North Korea is what their base wants these days. Obviously, otherwise they’d vote these warmongerers out of office or at least support the peaceful foreign policy initiatives Trump has pursued, right? As I slog my way through the quagmire known as Donkey Kong Country on the Game Boy Color, I wanted to take a break from the political articles I’ve been marking time with until the DKC review is through (that would be the last 4 to 6 articles, depending on the order these get posted). Seems fitting that I’d focus on DK’s original foe for the piece I write while trying to finish off one of his games. We Wanted The Game’s Story, Not Yours! Here it is, set to the theme tune from the always funny “Car 54 Where Are You?”. Sadly the humor (and humors) of the show are not involved in our 8 bit subject of today. And yes, the Atari 2600 was 8 bits. Its processor is a cheap version of what the NES would later use. Mario Bros. has a simple story- Mario and Luigi are plumbers in New York City. They are trying to clean the pipes out, and must also collect the coins because that is how they get paid. Welcome to De Blasio’s New York. The objective is to kill all of the monsters that come out of the pipes. You don’t have to kill the fireballs, but they give you points if you do (at least in the Super Mario Advance version, I can’t remember if I ever managed to kill a fireball in the other ones). You achieve fatalities by smashing your head onto the platform beneath the monster you wish to liquidate (literally, your goal is to knock it into the water) and then running directly into the monster whilst it is disabled. There are 99 different “phases”. Not quite 99 different stages, because several phases take place on a stage. In almost every phase, your goal is to kill the enemies to advance as stated above. However, in phase 4, 8, 16, 24, and presumably the rest of the multiples of 8, you are given the challenge of collecting 10 coins before a timer runs out. If you do, you get an extra life. Look, there isn’t much to the game. That last paragraph would’ve been the end of this piece if I didn’t pad it out with a comparison between different versions. Besides, I rarely get to see side-by-side screenshots like this detailing different releases. Atari 5200 gives a big Mario sprite that reminds me of the one in Super Mario Bros. Platforms animate when bumped. There is still only one stage design. The Atari 2600 version looks pretty simplistic. You only see one stage design. You can’t walk on the POW block in the middle. When you bump your head on the platform above, it does not show an animation indicating where you bumped (this is the only version I played that didn’t). You start with A LOT more fireballs here I think than in other versions. Atari 7800 gives a very detailed stage… but it’s the only one. At least Mario handled well, his movements were tight relative to the controller commands. And no, I played it on a standard 4:3 TV, not a widescreen 16:9 one. I don’t know why they chose to stretch Mario and the platform graphics. Now we get to the NES, which I assume is the closest port of the arcade version out of the ones I played. The stages actually change after a certain number of phases pass. but Mario handles very poorly, skids like he’s on ice even when he isn’t. On the Game Boy Advance, we have what appears to be a remake sort of (from the Super Mario Advance games). HD upgrade maybe? In keeping with a tradition started in a minigame in Super Mario Bros. 3, the turtles you initially get are replaced by ambulatory spiky shells. All graphics for the player and enemies are on par with the Mario games from the Super Nintendo. Backgrounds and stages have also received a visual upgrade. Mario can now duck, and can throw the POW blocks. The two-player only variant also appears on Super Mario All-Stars on the SNES, via the Super Mario Bros. 3 entry. This time though you need two controllers to ever be able to access it, unlike on the NES where I got everything done with just one controller. On the main menu for SMB3, a “Battle Mode” option is presented so that you can take on your friend immediately instead of waiting for an encounter in the main game. Believe it or not, there are releases not covered here. Mario Bros. found its way onto the GBA again in the form of a port of the NES title. It also popped up on Nintendo’s Virtual Console, Apple II, Commodore 64, FM-7, NEC PC88, Amstrad CPC, Atari 8-bit home computers, an arcade compilation for the Nintendo Switch, Game Boy Advance e-Reader cards, and on the NES Classic. And maybe even somewhere else I didn’t name. A sort of sequel appeared on the Virtual Boy in the form of “Mario Clash”.